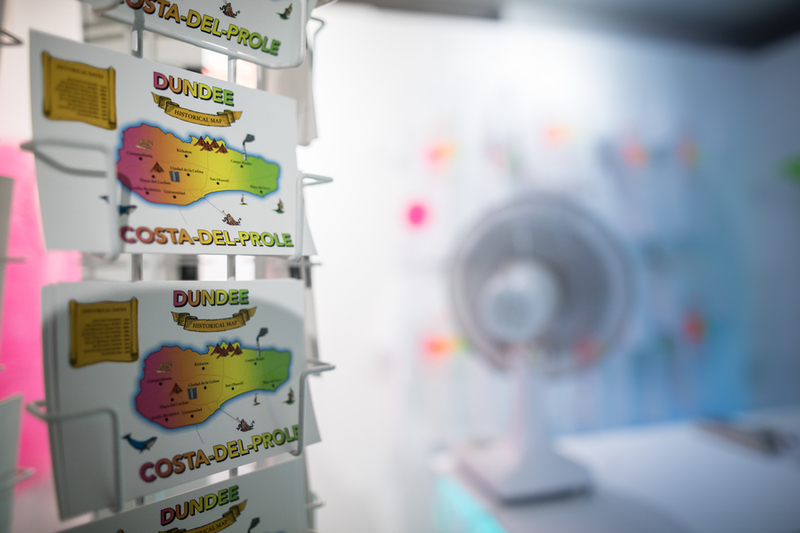 The political, the whimsical, the joyous and the brilliantly bizarre can all be found within the Duncan of Jordanstone College of Art and Design (DJCAD) degree show this year. The Skinny is lucky enough to be given a sneak glimpse at the work on offer, on the same day most students receive their marks, giving our visit a completely different feel to our usual explorations of degree shows: rather than sipping on vinegar wine and squeezing elbow-to-elbow with heaving crowds on opening nights, we see exhausted students joyously congratulating one another, excited to talk about their work but even more excited to get to the pub. It's a truly unique and uplifting experience being part of their results day. We should also note that there simply isn’t the space or time to celebrate all of the incredible artists we encountered this week, but we're truly blown away by the remarkable works on display. So, where to begin? As always, it feels like we need a map to navigate the corridors at DJCAD (special thanks to Joanna from the Cooper Gallery for keeping us on the straight and narrow! ), but while feeling turned around in amongst the warren of art we discover some useful pointers, the first coming from Camassia Bruce. Tucked in a hidden corner it feels as if we're intruding on someone’s studies – a chair sat at a desk, empty, with incredible cartographic drawings littering the space, luscious map-like drawings, vaguely geographic in their nature but compelling to explore. 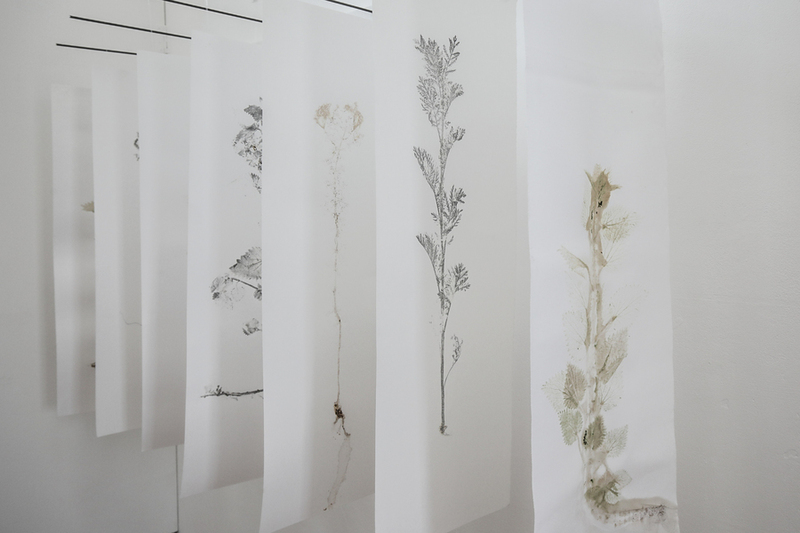 As if stumbling into a study we aren’t 100% sure we're allowed in isn’t intriguing enough, later the theme of maps crops up again in the work of Robyn Ivatt: this time we aren’t drawn in by the luscious and hidden, but more the mundanity of them all. Maps and illustrations of what the artist describes as ‘non-places’ fill the welcoming walls of The Cooper Gallery and highlight the inescapable reality of these ‘non-places’ – shopping malls, car parks, train stations and banks are presented as important spaces, neglected by our celebrations of places. The concepts of places and spaces seem to reverberate throughout the degree show, no more so than in the work of David McLeish. 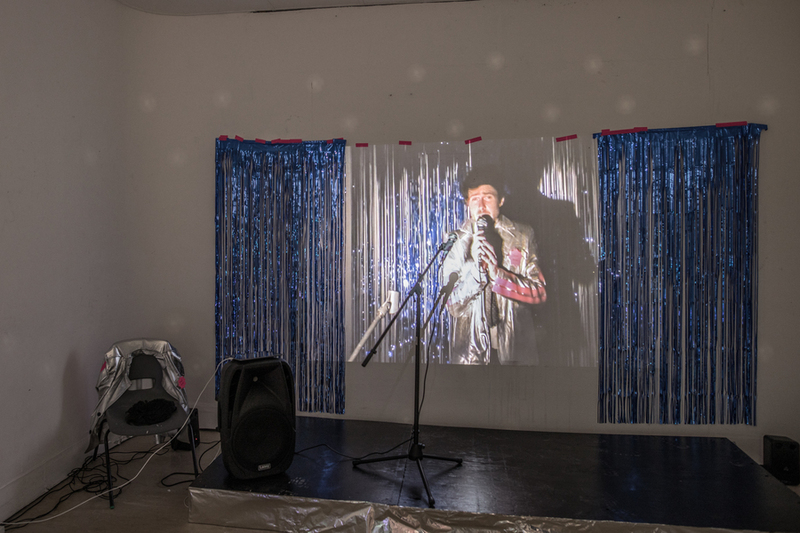 “Everyone is an artist, even if they don’t think so,” he states, and this sentiment of the art by everyone for everyone is gaudily on display in the space he solely occupies: part performance, installation, karaoke, tourist shop and all-round celebration of the brilliant bright tat that litters any tourist trap, McLeish explores the hilarity behind becoming a tourist destination, specifically in his home town of Dundee. Stepping through the bright blue glittery curtain into his shop, the only thing missing is Cilla Black (or whoever her Dundee counterpart would be – Lorraine Kelly?) on stage. The gaudy and garish continue on within the work of Jade Kerr. We are simultaneously completely repelled by and drawn in to her familiar sculptures: brightly coloured objects are scattered atop a low lying short wide plinth and could easily be meant as stress toys. Kerr’s sculptures look philanthropic in their nature, but grotesque in their design – a joyful and interesting exploration of the familiar and an artist's ability to create estrangement through materials. 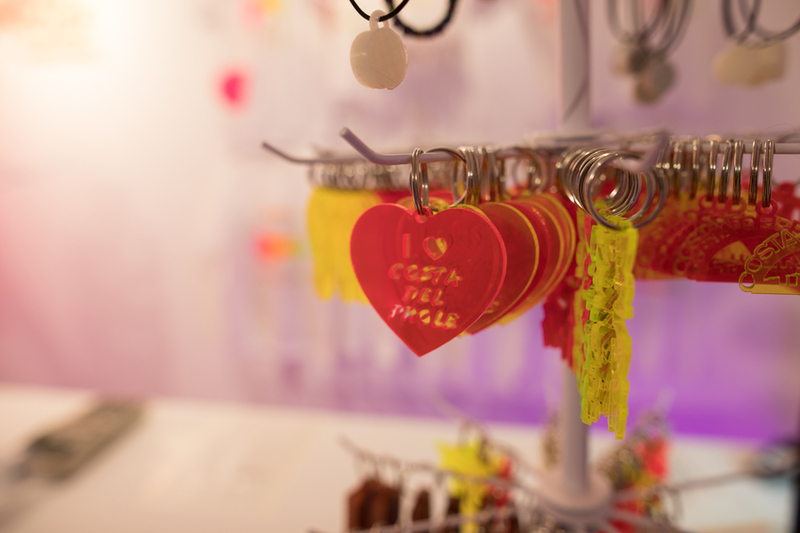 While brightly coloured, there is nothing gaudy about the work of Ciara Neufeldt – stumbling into her exhibition space feels like a real treat, and something completely different from any of the other work on display. Neufeldt looks to celebrate ceramics and to highlight the value of the handcrafted. 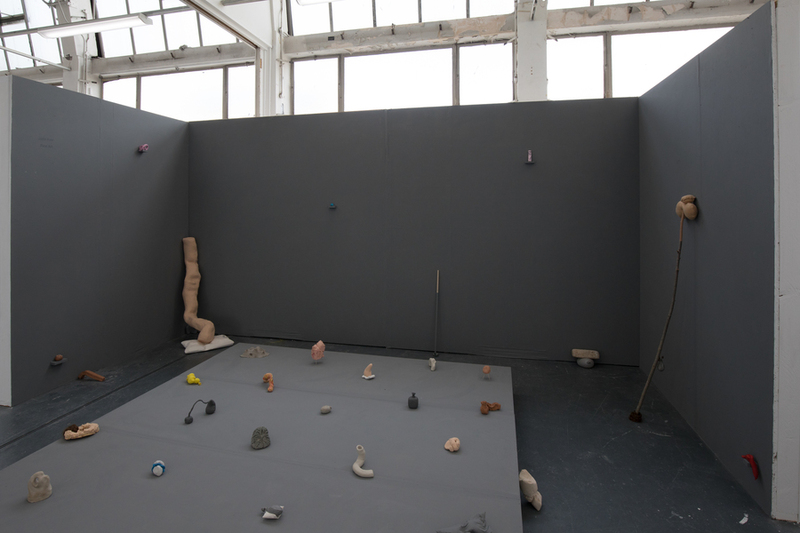 A ceramic wheel stands empty in the corner, as Neufeldt will be showcasing throwing techniques throughout the degree show, but serves to remind the viewer of the relationship between these beautifully crafted objects and the artist’s body. An altogether different ceramicist is Elizabeth Ann Day. 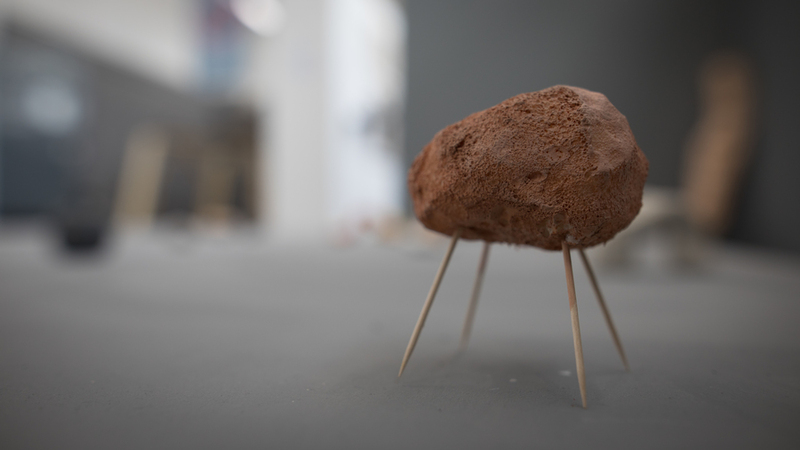 Unlike the uniqueness apparent in each object created by Neufeldt, Day utilises ceramics to highlight ideas surrounding mass production and consumerism. Huge wooden boxes are brimming with plain white matt plates and figurines, with an advert running on a loop from a shopping channel. Day’s dull and lacklustre pieces are pitched as 'instant collectibles', a hilarious statement about such innocuous objects. 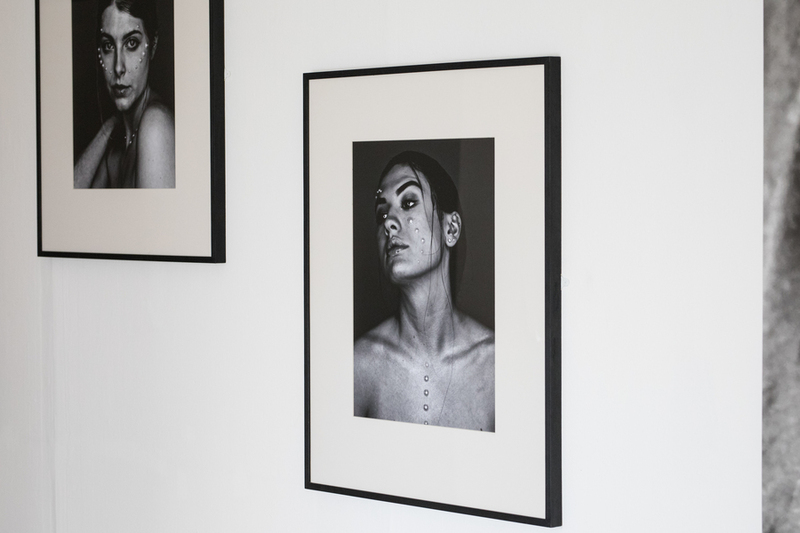 The Skinny comes across the work of Daniel Twist at the beginning of our adventure into the DJCAD degree show, but we would recommend saving his space for a mid-way break if you’re planning on spending a significant amount of time there. 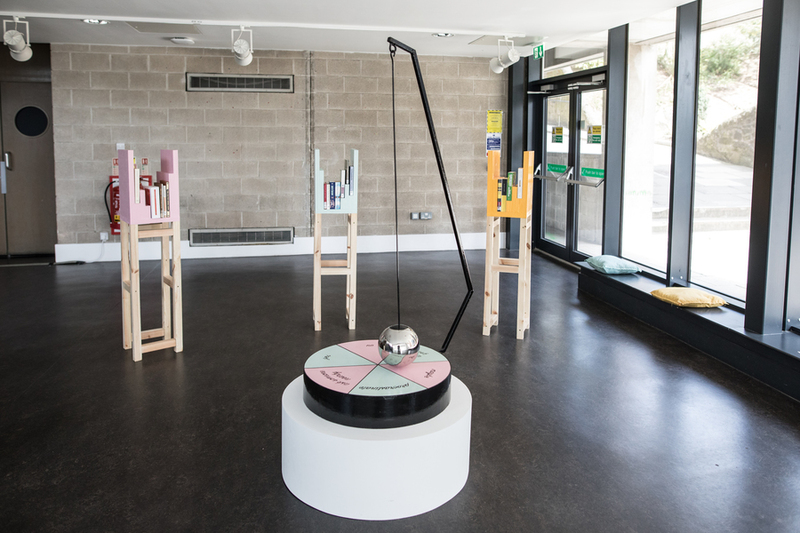 Somewhat hidden in the foyer of the college, Twist’s work states it serves to 'encounter a finite amount of information in a more directed and manageable way', or as the front of his artist statement suggests 'A space to read, relax, make decisions and have tea/coffee.' Books the artist has created are displayed alongside books he utilises for his research and as a viewer we are invited to build our own connections in amongst the variety of research on display. Another outstanding artist whose work traverses across mediums and ideas is James Fallan. 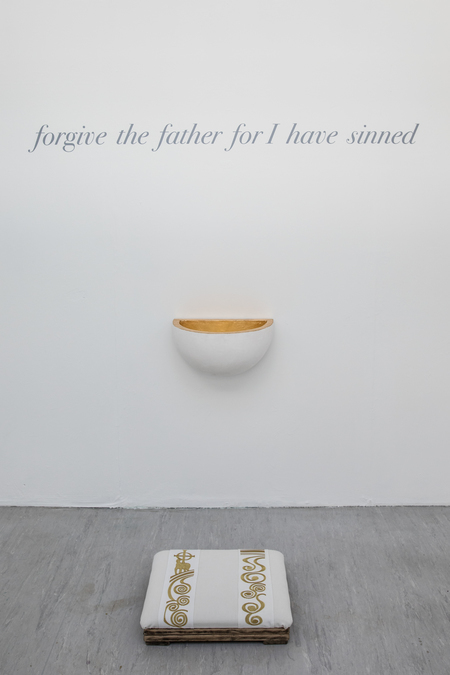 Bells stand on plinths in front of a video showing the artist making them; an open invitation sits to viewers to ring them and declare their news; a large banner hangs beside another video which invites passerbys to write their truths on it. These unique glimpses into the artist’s creation of works highlight that the political is indeed still personal, a rallying cry against the results of the EU referendum and the important role the public has to play in the political landscape. Another politically charged artist, Ewa Piotrowska presents an altogether less joyous exploration compared to that of Fallan. As the Irish referendum on abortion draws ever closer, Piotrowska focuses on the same political happenings in Poland: a country whose government which is heavily influenced by the power of the Catholic Church and their staunch opinions on abortion. 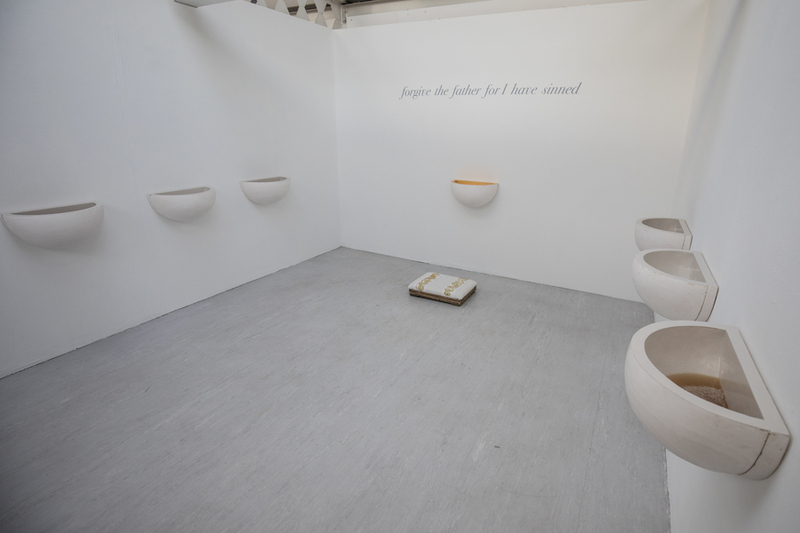 Small white sinks are filled with concoctions associated with abortion – the smell of fermenting medicinal fluids fills the space, which itself is presented like an interior of a church and serves as a difficult reminder to viewers of the devastating consequences facing those seeking abortions in countries that do not offer such basic human rights. Another artist focusing on women, Johanna Tonner utilises a variety of mediums to explore mental health. Manic and at times overpowering colours are splattered across human sized cushions surrounded by sculptures of a similar nature: at once put on edge by the jarring nature of the scene, while being compelled to sit and soak in all of the obscurities surrounding the space. Nina Stanger similarly pulls and repulses with her work. It’s not the visual aspect of the work that hits you first but the smell: the unmistakable odour of plastic, like a balloon has exploded in your face, smashes into your senses when you walk in and are greeted by a great big blue plastic sculpture. Too large to be that of a human figure, but sitting and welcoming like a familiar friend, Stanger’s work sits between a bizarrely sexual and uncomfortable place. A far more welcoming sculptural intervention comes from Bethan Radcliffe, who utilises familiar shapes within both her three dimensional pieces and linear drawings in order to create playful encounters that sit between the immovable nature of the sculptures themselves, as they are made of metal, and the fluidity of the curves and shapes they occupy. Similarly FK McLoone utilises the familiarity of curves encountered in contemporary shopping centre escalators to celebrate the sleek, bright 'and unremarkably modern' constructions, while Sobia Ashraf takes us back to a far more organic and soothing place, with her work exploring the cultural identity of being British Pakistani. Finally, there needs to be a shout out to the incredible painters of DJCAD, artists such as Ryan Gill and Michael J. Doherty creating hyper real canvases that are lustrous and rich in their creation, while Kristina Pelehacs utilises the medium to cast a whimsical light on the realm of memes. 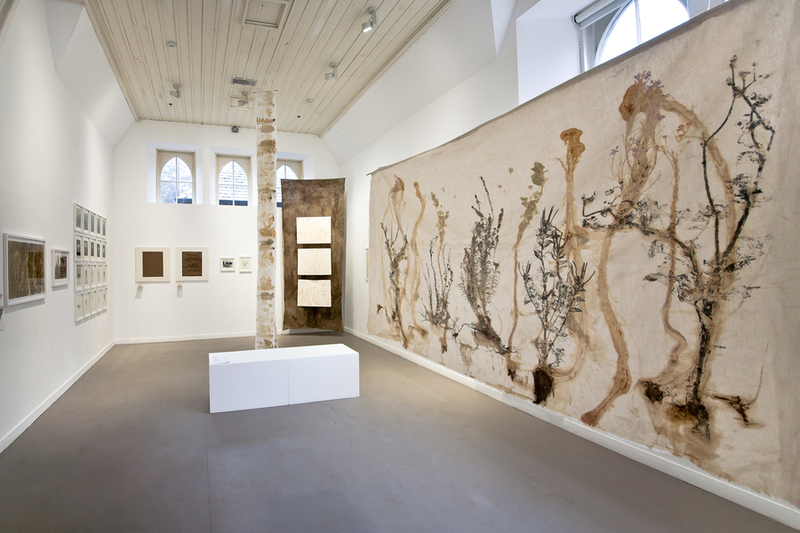 Altogether this exhibition is an uplifting and empowering encounter into the work being created further up the east coast.